Jollyville's first "Tech Talk" group was instrumental in getting all of our students started with "Going Google". 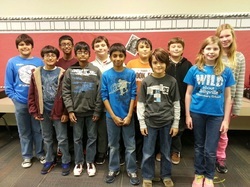 These students partnered to produce how-to videos for logging in to GMail, changing general mail settings, using Google labs, creating and adding tasks, adding events to calendars, and inviting others to calendar events. Their videos are aired on the school's morning broadcast show. 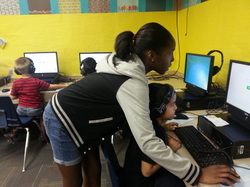 These students are helping our students and staff with maintaining the lab, assisting Kindergarten with logging in, reporting computer problems and creating video projects to teach our students and staff more about Google.. Their video projects cover subjects such as working with Google calendars, how to use Google Drive, working with Google documents and forms, using Chrome, apps, and extensions.